Few weeks ago, I wrote about my dining experience at Fish and Co. They served delicious Fish and Chips and that has got to be one of the best Fish and Chips I've ever tasted in Singapore. What if you want an alternative? 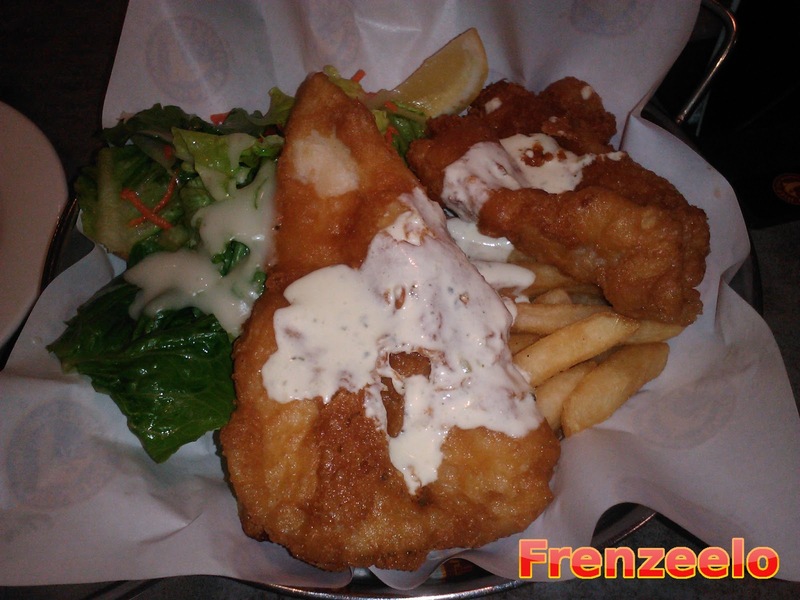 You can check out the Manhattan Fish Market which is also a seafood restaurant that serves delicious hot and crispy Fish and Chips along with some seafood and non-seafood dishes. When I first entered the restaurant at around 9pm, the restaurant was quite packed with almost all the seats being taken up. Thankfully, there wasn't a long line and the staff brought me and my family to a table that has just been cleaned up by the staff. This is how the menu looks like. When you open up the menu, you'll be presented with a story of the Fulton Fish Market. It was informative and you'll not only walk out from the restaurant being full but you'll also get to learn something new. It seems that the name Manhattan Fish Market comes from the location of where the Fulton Market was located which was, well, Manhattan. The menu was beautifully designed. With pictures of the food in great quality, titles and description of the food neatly written and the prices clearly shown, you won't find it difficult to plan how much you're going to pay for the food. Now the problem is what to eat at the restaurant itself as there's so many choices. 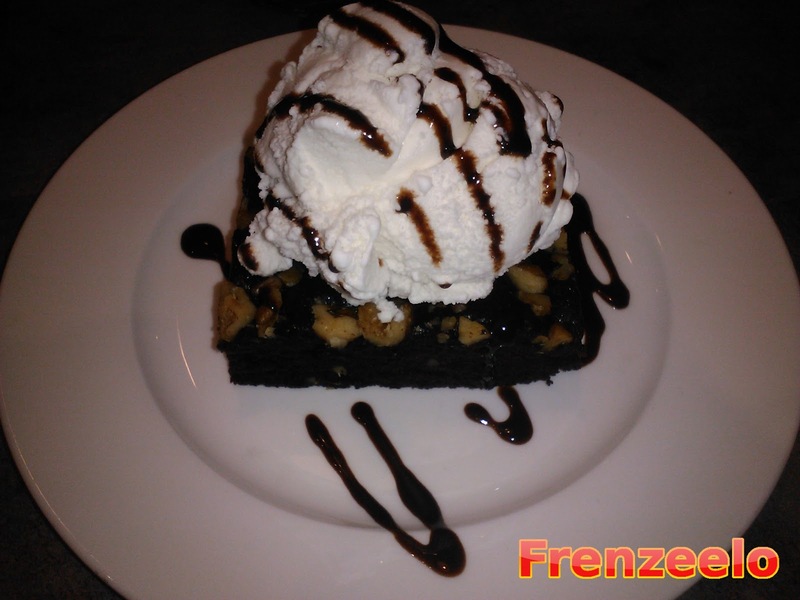 The first dish that arrived on our table was this Brownie with Ice Cream. Not that interesting but I like the minimalistic presentation and how the chocolate sauce is drizzled around. The brownie was soft and chewy but not really moist, in fact, it was actually quite dry but the nuts in the brownie itself made up for the slightly dry brownie. The ice cream was just plain vanilla ice cream. Would be better if it was durian ice cream. If you're a brownie lover, you should get this whereas if you're an ice cream lover, get the Manhattan Mud Pie. Next was the Blue Lagoon Float. According to the menu, it's actually lemonade with Curacao and vanilla ice cream at the top. 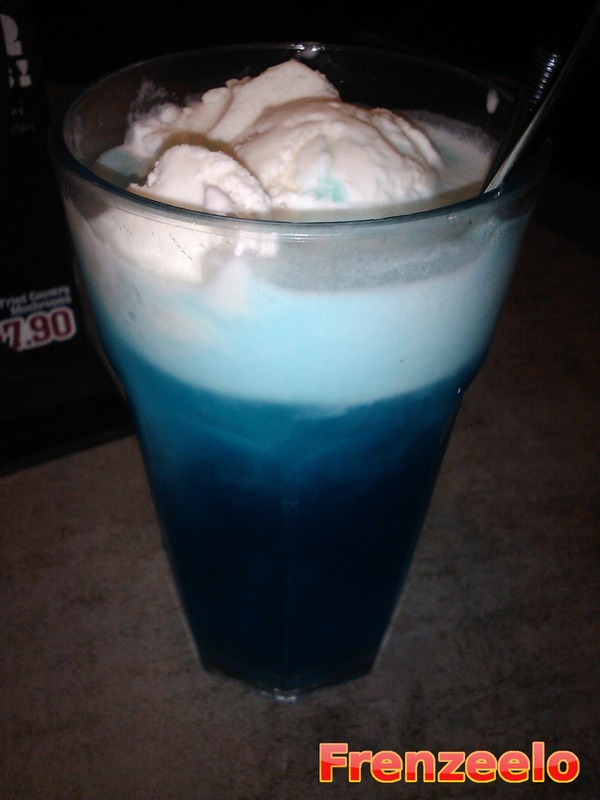 The float tasted much like blue-coloured sprite since they're both carbonated lemonades and the ice cream made the drink taste nice and creamy. It's not really that special except for the colour of the drink which will give the illusion that you are drinking a nice cocktail. Next time, I would get the Sweet Alabama which is a milkshake with vanilla ice cream, chocolate ice cream swirled with peanut butter. Looks soooo delicious and a definite must-try at my next visit. After having desserts (quite weird considering that desserts should be consumed last), we got the Grilled Gala Platter. Basically it's a platter with most of the items grilled. There's the Grilled Fish Fillet, Tiger Prawns, Calamari, Garlic Herb Mussels with a bed of Garlic Herb Rice and Chips. If you love veggies, you'll be glad to know that there's an ample serving of vegetables in the middle with broccoli and carrots. Since most of the items in the platter are grilled, it's slightly healthier than the fried platter where all the items in the platter are deep-fried and artery-clogging. The platter was great. I love the garlic herb rice because it's buttery, nice and smooth and I like the grilled fish because it was soft and easily melted into my mouth. The calamari rings were not that great though. It wasn't extremely chewy and hard to swallow which I like so it melted in my mouth after having a few bites of it unlike other calamari rings I have tried. I do wish they added in more flavour into the Calamari Rings because it was rather tasteless and unpleasant to swallow. 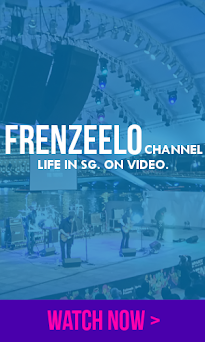 I didn't try the Tiger Prawns and the Mussels though because they were not to my liking. Overall, I recommend you to get this platter or other platters to share with friends and family. Finally, the star of the restaurant. This is their signature dish which is the Manhattan Fish and Chips served with chips, salad and smothered with their classic Garlic Herb sauce. The fish itself was nicely fried until it's golden and crispy. Just like the Fish and Chips I tried at Fish and Co., it melted in my mouth which was great. However, I prefer the Fish and Co. Fish and Chips mainly because of the cheese stuffing and the variety of flavours you can choose for your fish. The chips were nothing special though they were hot and crispy which I liked. Fish and Co.'s chips were also similar. But hey, they're fries so I'm pretty sure they got it frozen and sealed in a bag like other kinds of chips and fries. Also the fish came in two pieces so it was easy to share with a friend or family if you think that the portion's too big. What I particularly don't like is the salad that's served at the side. I'm not really a big fan of salads (that's why I'm fat) so I didn't eat it but my sister did. What's even worse was that the salad was drizzled with some kind of sour and unpleasant sauce which was totally different than the Garlic Herb Sauce. If you're not a fan of dory fish, you can choose other kinds of fish such as Cherry Snapper and Cod. There are also two versions of each fish which come in either light or regular. Not so sure what the difference is but I think it's the portion size. 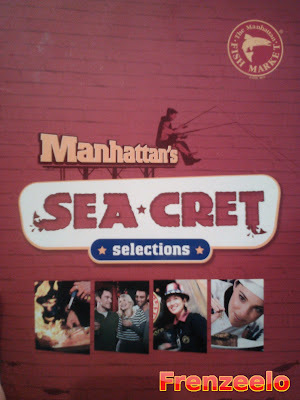 Overall, I did enjoy my dining experience at the Manhattan Fish Market. Although it isn't really the best Fish and Chips in Singapore, it certainly was better than other Fish and Chips on the market (no pun intended). 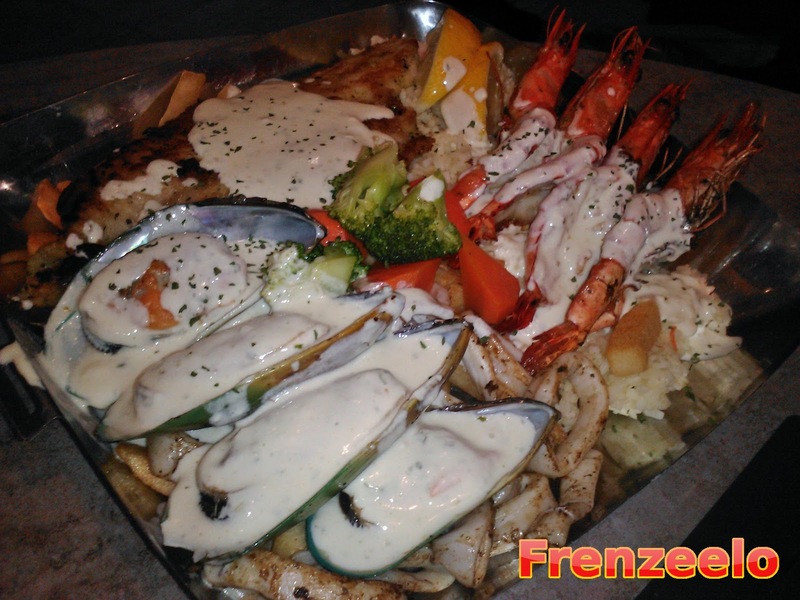 Manhattan Fish Market serves a variety of dishes from pasta to grilled fish to grilled chicken and so much more. You'll be spoiled for choice when you come and dine in here. If you are sick and tired of Manhattan Fish Market (Who would be sick and tired? ), I suggest you to visit Fish and Co. as an alternative. Not saying that Fish and Co. is better, it's just an alternative if you don't fancy Manhattan. More info on Fish and Co. here. لا أحد يختلف على أنه يوجد عدد كبير من شركات التنظيف لكن لا يسعك بالطبع وضع ثقتك في جميعها لذلك ننصحك بضرورة التواصل مع شركة تنظيف بيوت الشارقة إذا وجدت صعوبة في تنظيف منزلك وستجد لدينا كل ما ترغب فيه وتسعى للوصول إليه من أهداف حيث أننا نعمل جاهدين على تحقيق أفضل النتائج التي من شأنها الحصول على استحسان جميع عملائنا الكرام في أقل وقت وبأقل تكلفة فلا داعي للتفكير طويلا في الأمر بل اتصل بنا الآن. إذا رغبت في التواصل مع شركة تنظيف بيوت الشارقة فيمكنك القيام بذلك في أي وقت ومن أي مكان حيث أن فريق خدمة العملاء التابع لشركتنا المتميزة متواجد على مدار اليوم لاستقبال جميع المكالمات الهاتفية التي تأتي من أي عميل كريم.